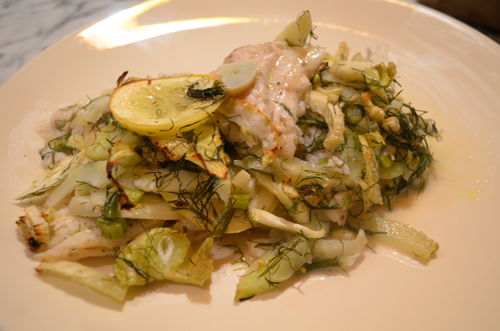 Simple Dishes: Baked Sole w/Fennel+Lemon | eat. live. paleo. Wash and pat dry the sole filets. In a baking pan, lay out the sole. Drizzle with olive oil and season with salt and pepper. 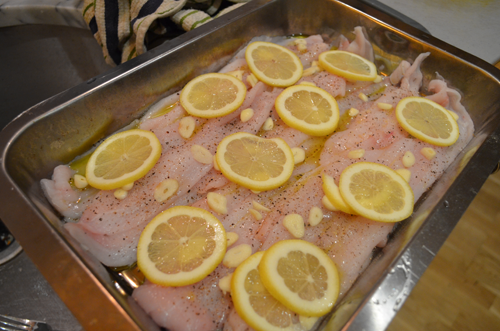 Lay out the garlic and lemon slices over the sole. 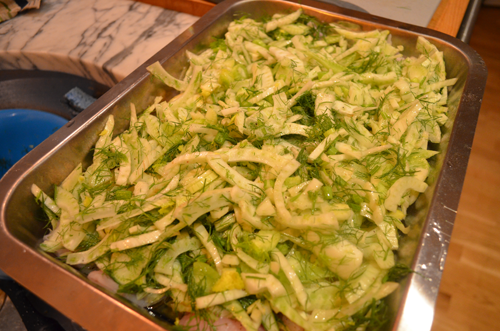 In a bowl, toss the fennel in a drizzle of olive oil and season with salt and pepper. Cover the sole with the fennel. Bake in the oven for 30 minutes. 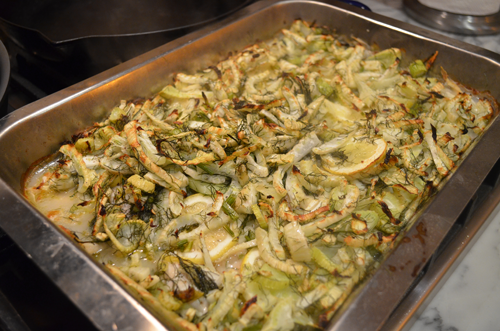 Finally, broil for about 7 minutes to lightly brown the fennel. Serve and Enjoy! 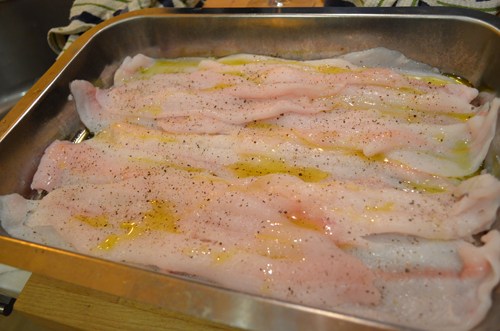 Lay out the sole in a pan, drizzle with olive oil, season with salt and pepper. Lay out the garlic and lemon slices. 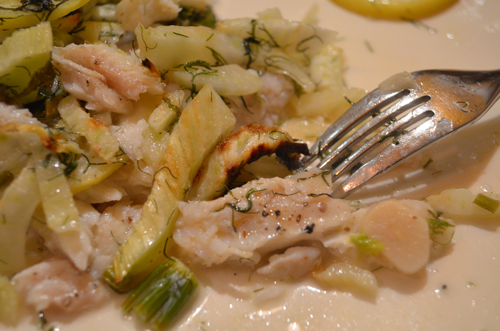 Cover the sole with fennel slices, which have been tossed in olive oil and season with salt and pepper. this dish was outstanding! i just had to tell you! haha i used butter instead of oil and made it with almost a pound of sole. i figured, hey, i will have enough for breakfast. yeah right! i ate the whole pan myself! it was so light though that i don’t care. i can’t wait to get some more sole to make it again. That’s so funny – I was at Whole Foods yesterday and they were having a sale on sole. And I have some extra fennel in the fridge. So I googled the ingredients and voila! Your recipe. I prepped the dish to bake later tonight. Also added some olives that were left over. Bet it’ll be great!